Gary retired from UW-Madison in 2014 after 33 years as an Administrative Support Worker in the College of Letters and Sciences, the Chancellors Office and finally in the School of Medicine and Public Health. Shortly after starting at UW-Madison he was recruited to join AFSCME Local 2412 beginning involvement as a Steward, Vice-President, Secretary, President, Chair of the Administrative Support Bargaining Team and International Vice President – Wisconsin District. 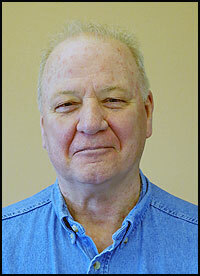 He is currently President of AFSCME Wisconsin Retirees Subchapter 52 and attends WCOA monthly meetings. He has been on the Board of Wisconsin Alliance of Retired Americans and has recently been elected President. Gary was born in Beloit, WI and moved to DeForest, WI. He moved to Madison after high school and except for a short time in 1971-73 has lived on Madison’s fashionable Eastside ever since. He has two children, a son and a daughter, who also live in Madison. When not attending meetings he enjoys playing golf, basketball and cards (especially sheepshead).